Automated Regression Testing ascertains code changes and functionality issues. In other words, it is a quality measurement check to discover if new code complies with the old code so that the remaining unmodified code stays unaffected. Automation regression testing also allows for finding any bugs that may have occurred due to changes in the code and if the testing is not done, the product could have a critical issue occur during a live event which can lead to negative marketing impact. Unit Regression – done during the unit testing phase when a code is tested in isolation. Partial Regression – done to verify the code works fine even when the code is changed performed while the unit is integrated with the unchanged or already existing code. Complete Regression – done when a change in code is in numerous modules and/or if the change impact in any module is uncertain. Retest all and repeat frequently – the entire test case in the suite are re-executed to ensure there are no bugs from a change in the code. This regression test is expensive due to its expansive nature and requires more time and resources than any of the other types of automated regression testing methods. Selection testing is worth using for maintenance – test cases are selected from suites to be re-executed. The test cases are selected from code changes in the modules and have two categories – reusable and obsolete. The reusable test cases can be used in future regression cycles whereas the obsolete ones are not use in future regression cycles. 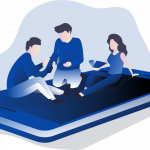 Prioritization to create stability – priorities are created, and the test cases depend on the listed and needed priorities to be for product impact and functionality. Simple – a combination of regression test selection and test case prioritization. Rather than selecting the entire test suite, only test cases which are re-executed and are listed as a priority are designated. It should be noted automated regression testing not only enables checks into various changes but can also release and prompt testers to conduct manual assessments in the more uncommon cases respective to their unique production environment. However, there is a more difficult automated regression test to perform which occurs when a feature was released into production without having any automated tests performed. The challenge then becomes finding a regression suite to put into place since you can only do that incrementally, layer by layer so prioritization is mandatory to ascertain what must be tested. Try to write individual and independent tests because you will ultimately regret it if you don’t. By not writing individual and independents tests, if an issue arises, you will find because you did not write an independent test, your solutions are problematic and must work around test orders and the storing of state and data between test runs. Separate acceptance and end-to-end tests because they do entirely two different things and need to run separately to get proportions correct. Acceptance tests target and test one thing efficiently and effectively. An end to end test is implemented to cover the user’s journey through an app and then test the app the same way a user access it. The end to end tests do take more time and are considered fragile because they contain so many incremental steps. If you want your test to perform brilliantly, decipher why you are doing automated testing and once you ascertain need, determine what measurements will be needed. Your end goal should be to have as few automated tests as possible and only use them for valid and objective business reasons because automated tests are time-intensive and costly. Never forget that intention and implementation are two different things. When writing scenarios, it is logical to input how best to implement the set-up, but that thinking is faulty and will not help longevity within your specifications or enhance business readability. Intentional features and scenarios provide outcomes that are clear and easy to understand and if you really want to provide exemplary solutions you can even build in the ability to change your test, if needed without changing your specifications. Automated regression testing is not a one shot and you’re done deal because if you don’t run them on a consistent basis, they will become almost useless when someone changes code. The test should be in the same source control repository as the app, so they will not be forgotten about or ignored. Automated tests should never be run on several browsers because almost every browser performs differently with slight variations which invalidates true results. In essence you are probably wasting your time. Try to find the browser most of your customers will be using. Google Chrome is usually a good place to start. 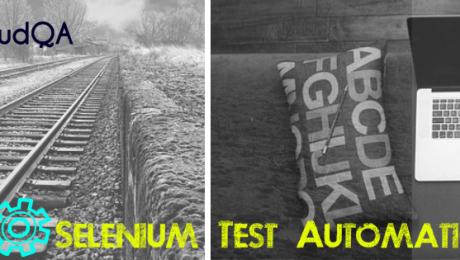 There are nuanced differences in manual and automated testing. This sounds like a no-brainer but it’s not. Automated testing is the testing of choice for functionality, but it does not do well in testing stories or exploring your system. 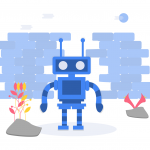 Automated, artificial regression testing no matter how brilliant, logical or error-free, rarely understands weird quirks or cultural definition variances. But humans can find those unique perspectives and manually test them which is more cost efficient and allows for fine-tuning for human users’ needs. Try to run your automated tests as they incrementally grow and develop to speed up your run times. It takes almost no time to create an agent to run tests and collate the results on a consistent loop integrated with the testing server. Use, use and use your application development team because each member should be accountable for quality. The most effective and efficient automated tests are developed with the application development team because they integrate what is needed with what can be tested with the results being successfully magnified. Try to find any opportunity to extract the most value for the least amount of time and energy. If you have to keep running automated end to end testing after deployment of product, is it a good use of a company’s outlay? Always seek value in every level of testing. Always. Automation regression testing is one of the most important aspects in helping deliver a quality product because it makes sure that any change in the code whether it’s small or large does not affect the existing or old functionality. You can even use automaton to create master data and setup configurations for manual testers which ultimately allows you to facilitate the needs of the various operations within your company or organization. 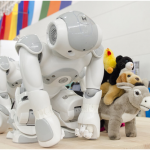 There will be new tests in automation with techniques discovered and challenges to solve. 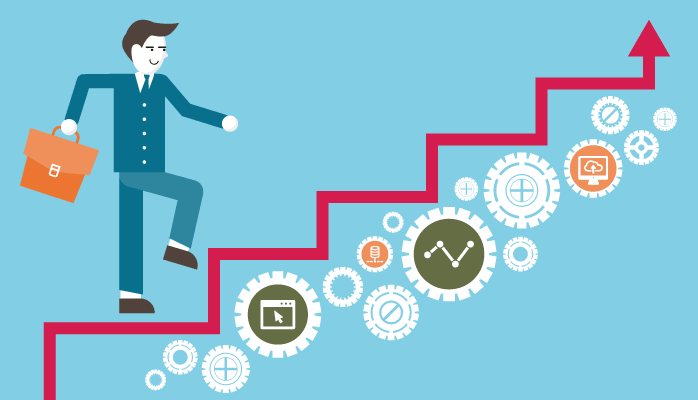 The journey to achieving optimum levels of automation in regression testing must start by taking the first step. CloudQA is back with our What You Should Be Doing series! 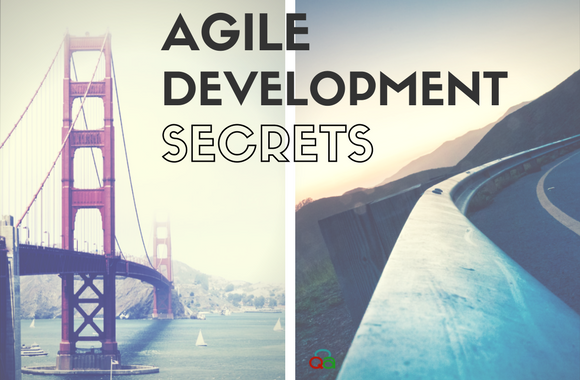 In this installment, we look at Agile development. First off the bat – what is Agile? Well, to quote AgileNutShell, “Agile is a time boxed, iterative approach to software delivery that builds software incrementally from the start of the project, instead of trying to deliver it all at once near the end.” Cprime further elaborates it as “a group of software development methodologies based on iterative development, where requirements and solutions evolve through collaboration between self-organizing cross-functional teams.” The system is based on the Agile Manifesto, which you can look through in various languages here. The benefits of the Agile development module has been proven time and again. 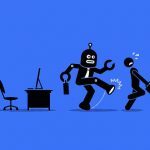 If there is one thing that you should take away from this article, it is that the Agile development module is impossible to do without automated testing. It will be absolutely impossible to meet the high turnover rates in this module without having automated tests and the time management benefits they provide, especially with regard to regression testing. Follow the fixed-length iterations to a TOne of the most difficult parts about Agile is that it keeps you on your toes. Each agile release is made up of several different iterations, with each iteration being a standalone project by itself. The entire Agile process is extremely dependent on these iterations as they help to streamline the development process and keep the whole team focused towards a set result. The deadlines help move things along at a very rapid pace. It also helps keep goals actionable instead of vague, and keeps everyone’s work measurable. The targets are short term, and easily evaluable. Once the team gets used to working these deadlines, they will fall into a stride, a pace of working that will keep churning things out at a rapid pace. Time, effort and resources will be managed more efficiently. Deliver working software One of the main tenets of agile software development is how fast it delivers, and how reliable its results are. Thus, when planning iterations, keep working features as a priority. All improvements, feedback and other factors can be incorporated into the iteration process on a priority basis. This keeps your team on track, and everything organized. You can do your work systematically, and on a priority basis. You don’t need to wait around for reworkings, and you don’t waste time assessing what work you have done, and what you have left. Additionally, you deliver to consumers or clients faster, with greater product reliability. Development should be backed by valueAnother one of the main tenets of agile development is the value that it delivers, and how steadily it delivers that. Features and the usability of those features are what the agile development module focuses on, and thus you will always be left with a usable product at the end of the week. Your team needs to be visionary to really fulfill this claim. Don’t be afraid to try new things or take big risks. As you will find out in the next point, failures will not throw off your entire development plan. An evolving, adapting product plan as we’ve mentioned before, the agile development module works on feedback and re-workings of any aspect of a project on a priority basis. This means that your plan will have to be built with space for these intact. This also means that your planning needs to be kept dynamic, and it is this dynamic that keeps everything moving at a rapid pace. Dynamic plans deliver better end products because they have a better understanding of what the consumer or client ultimately wants. These plans are constantly open to upgrades and changes, and this helps the team because they don’t have to start from scratch if the end result does not satisfy after completion. Your project grows along with youThis is an extremely crucial part of the agile development process, and is an intrinsic part of it as well. In agile development, you get constant feedback at the end of every iteration. This means that your product plan keeps changing as well. There is no set goal to work toward mindlessly, as the feedback you get will make you rethink your goals each time. Your feature list might grow, and be easier to incorporate at early stages than at a later stage. 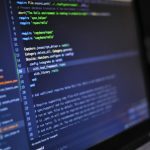 It is a much more interesting environment to work with for programmers and is a more efficient way to deliver products that a customer or client is satisfied with. Thatched teamwork The agile development process calls for standalone teams that are assigned to different work, but who ultimately work together to build the final product. This cross-functional or thatched teamwork has several benefits. First, it doesn’t put the entire responsibility of the project in one place. Less stress equals to higher productivity. Additionally, smaller groups are easier to supervise, and work better than larger groups. Everyone on the team knows exactly what they’re doing, what they’re responsible for, and what their contribution is. Keep your agile development teams small, but in constant communication. The benefits of thatched teamwork comes out brilliantly when you have a highly creative, multi-disciplinary team. Everyone brings their own expertise to the table and you get a very well-rounded end product as a result. Make sure unit tests and component tests are done rigorously. Make sure that GUI smoke tests are done with every sprint or test cycle. Make sure that you respect the tests and the feedback that you get from the testers. Make sure you add the feedback to the add-on needs for the next cycle. These small details will ensure that your Agile testing is done efficiently and that your testing plan succeeds. You need to keep your approach to Agile testing on point, and not deviate from the plan that you lay out in the beginning. Together, these will ensure that you succeed with Agile testing. A properly written functional test ensures that the system is functioning exactly as the USER expects it to. Functional tests target business goals and typically defined and validated by an expert end user. Since it may not be possible for an expert to test the functionality of the system at each and every step of development, the test cases/scenarios are often documented with their help. This document defines the step by step instructions of system interactions along with the expected outcomes for every test case defined by the expert users. It can then help any user (not just the Expert) to be able to follow the steps to test the software and verify if the outcome is exactly as the expert has defined. To ensure completeness, functional tests should cover both the positive and negative scenarios. 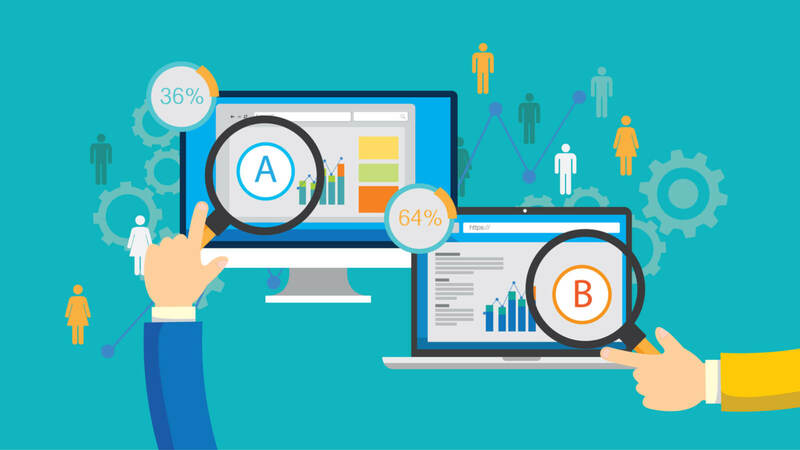 Manual functional testing can be a tedious process as it can take quite a while for a tester to step through each of the steps and verify the outcome/results. When the user goes through these steps each time there is a software update, there is a high probability of erroneous information being entered or captured by the tester resulting in incorrect validations. If the number of test cases is extremely large and complex this problem gets magnified. The manual testing process can, therefore, be extremely laborious, monotonous and error-prone and requires highly dedicated and qualified resources to execute. This can be overcome by automating the functional tests as much as possible. Granted that not every test can be automated, but even a 50% coverage via test automation can bring about huge relief in time, cost and resources. 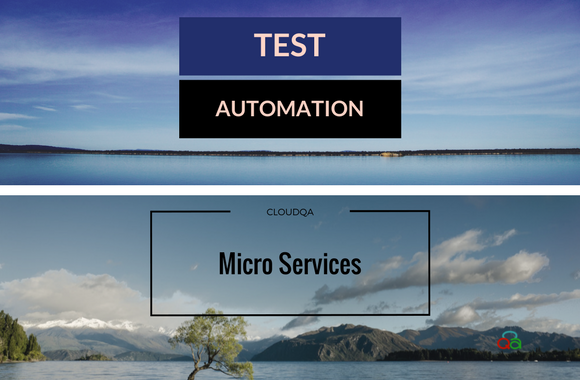 Once a test scenario is “automated”, it can be run on demand after each software release cycle. The feedback from an automated test is extremely fast compared to the same test run manually. Consider an example where a test scenario requires a user to traverse through multiple screens, enter data into 20+ fields, select various check boxes, radio buttons, pick a value from a drop-down options, enter date in the right format, validate the response on 5 submit buttons, etc.. A real-life scenario like this can easily take the user over 5-10 minutes each time to run this test. For the same scenario, if the test requires a different data set or a negative test, it means another 5-10 minutes. When you look at multiple data sets and 100’s of test scenarios, it translates to weeks of testing that is required after each major software release. This also causes a bottleneck for the development team to move any further before getting a complete feedback from the test users. If all these test scenarios could be automated, it would take only a couple of hours to go through the tests and feedback cycle to the developers would be extremely fast compared to manually testing all the scenarios. That is a huge saving in terms of time. effort and resources and easily justify adopting functional test automation as much as possible. A lot of companies, as a standard practice, do not thoroughly test their software application after each minor or major release because of the aforementioned manual testing challenges. The risk that they undertake, however, is extremely high if the software fails in a real-world environment – brand reputation, lost clients, fixes that take too long and that potentially break other parts of the software. 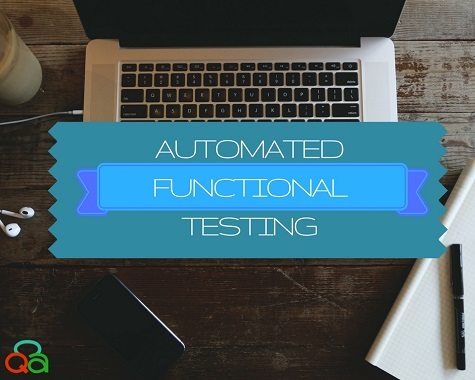 One way to speed up functional testing is through web automation tools. Selenium is one of the few software testing automation frameworks for web applications out there which is open source and has a very large following. It has a set of tools to support test automation in multiple browsers. Web test automation with Selenium, however, is a programming activity and people creating tests should be comfortable with one or more of the few programming languages that Selenium supports (Java, C#, Python, etc.). Even though it might take some time (a few hours or days depending on the complexity of the test case), it can greatly reduce manual repetitive/regression testing efforts after each software release cycle. There are a few companies that are working towards reducing the time to automate the tests with Selenium by providing a “wrapper” solution which essentially means “automating the Selenium test automation” efforts. However, since there are many types of browser interactions in modern web technologies, not everything can be addressed easily. The goal of a tester should always be to evaluate and use tools & methods that can address the maximum number of test cases with minimum effort.